As important as it is to have your vehicle serviced in preparation for winter, summers in Georgia can leave you sweating in more ways than one if you don’t also prepare your car, truck, or SUV for rising temps. 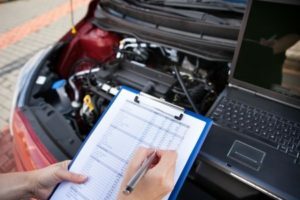 Regular engine and general auto maintenance goes a long way in protecting yourself from costly repairs and the inconvenience of a full-blown breakdown. Here are a few key ways that you can prepare your vehicle for sweltering Atlanta temps. Check the belts – The components under the hood take a significant beating during the winter and can often sustain wear that is difficult to identify right away. By having a professional service the belts, you can prevent small issues from becoming major damage, especially to critical engine components. The heat can make belts more prone to cracking and breaking, so let us provide an inspection to make sure you’re good to go all summer long. Get an oil change – Perhaps summer means less commuting for you and your vehicle. Did you know that shorter trips actually cause more wear and tear on your engine? Your engine was designed to drive long distances, so even if you’re closer to the 3000 mile mark since your last oil change, consider having the filter and oil replaced now to keep your engine humming like it should. Run the air conditioner – We probably don’t have to tell you to do this one at this point. It’s already warm enough to know whether or not your A/C is running. However, watch for signs that the air conditioning may be struggling to keep up, such as: reduced air flow, air not feeling cold, strange smells, intermittent air flow. This is also a good opportunity to check the refrigerant levels and cabin air filter. The condition of the engine is paramount to the performance of your vehicle, so count on our certified technicians to provide the oversight and service to your car, truck, or SUV in preparation for summer. Call us at (404) 289-9997 to schedule an appointment! Posted in car maintenance on July 1, 2016 by American Engine Installations.